Things have been a bit hecked around here over the last couple of weeks. With spring settling in here in Florida, I’ve been getting out and taking care of Honey Do’s around the yard, and spending some time with my other favorite hobbies: video games and reading. I’ve also been hard at work on my miniature. More importantly, I’ve been exploring other table top and hobby games. Recently, I’ve been giving the new X-wing Miniature Game by Fantasy Flight a go. All around it’s not a bad game: cheap and affordable, easy to learn but hard to master, and nice quality minis. I’m not going to knock it. It’s fun, but most of my games have devolved into ring around the rosey with what fighters are left after a turn or two. I’ve also begun to explore Infinity and Malifaux. I haven’t played a full game yet, still reading and trying to understand the rules, but they do seem to be very interesting. I’m particularly drawn to Malifaux because of the minis, and the fact that it’s steam punk, magic table top game. Back on the Warhammer front. I did get a game in where my brother and I both played Daemons. It was the first time the either of us played the army, so the game went fairly slow (we only got two turn done in a couple of hours). My basic impression was that the codex is interesting, but I don’t know if will be competative. Each of the Chaos gods seem to fill a particular role. Nurgle is good for survivability and buffing units with Biomancy. Khorne is an assualt hammer, Tzeentch is the shooting element of the codex, and Slaanesh is a fast assault element. The biggest draw back to the Daemon army is keeping track of the psychic powers and gifts that every other unit has. I almost felt like I had to make a character sheet for each unit. Still the army was fun and would be enjoyable for casual, friendly games. I can even see it adding a bit of flare and spice to armies that want to take them as allies. I just don’t know if I’ll choice Daemons to become a major stand alone army in my collection. Still on Warhammer, I picked up the Tau codex this weekend. I haven’t had a lot of time for it, but quick browsing has me a bit interested. 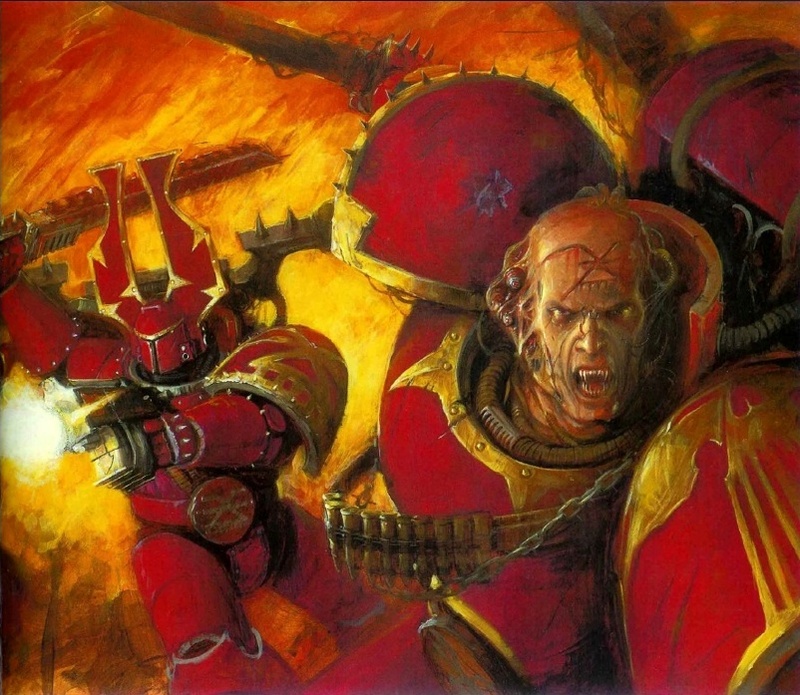 I’ll hold my judgment until I read the codex more and see what the Imperial Guard codex is like. As I’m a Space Marine player, I know I can take Tau as a Battle Brother allied, but the idea of Space Marines being chummy with xenos just doesn’t settle right with me. Stay tuned as I’ll continue to go over the Horus Heresy and maybe even begin going into the codices.